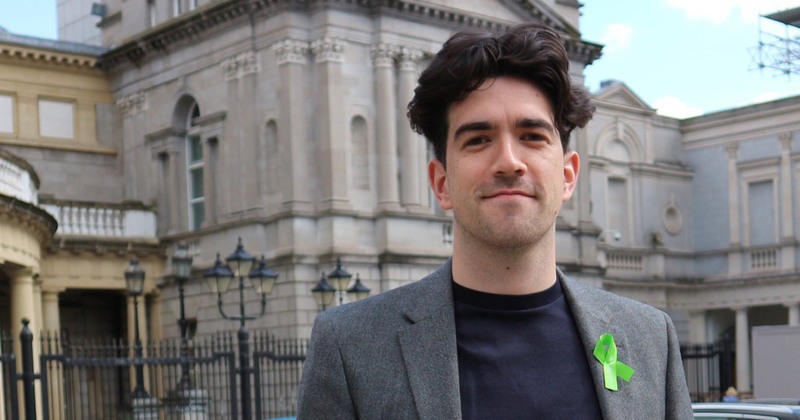 “Ireland can be a beacon of hope oppressed people everywhere,” says Senator Fintan Warfield as his bill to ban LGBT conversion therapy in Ireland passes second stage in the Seanad. News 2 May, 2018 . Written by Brian Finnegan. Sinn Féin spokesperson for the Arts, Youth Affairs and LGBTQI rights, Senator Fintan Warfield has welcomed the passing of the Prohibition of Conversion Therapies Bill 2018 through second stage in the Seanad today. The bill aims to make the practice of performing so called ‘conversion’ or ‘reparative’ therapies illegal in Ireland and would carry fines for individuals providing the service and prison sentences in extreme organisational cases. ‘Conversion therapy’ means any practice or treatment that aims to change, repress and, or eliminate a person’s sexual orientation, gender identity and, or gender expression. Additionally, it will make removing a person from the State for the purposes of conversion therapy an offence. “There is an important international dimension to this, which sends solidarity to Brazil and elsewhere, where this practice is ongoing. Ireland can be a beacon of hope for oppressed people everywhere,” Senator Warfield said. Investigative pieces in GCN and Hot Press magazine have shed a light on the practice of conversion therapies in Ireland. Organisations such as Courage International, who promote the use of conversion therapies, are currently active in the country and have been advertised through parish newsletters. The bill has received cross-party support, while 21 Senators have co-signed the bill; from Sinn Féin, Fine Gael, Fianna Fáil, the Labour Party, Green Party and Independents. “Whether it remains untouched as it goes through the stages, it remains to be seen,” Warfield added. Watch our interview with Senator Fintan Warfield below. 2 May, 2018 . Written by Brian Finnegan.